The culprit is 60-year-old Mary Holcomb. 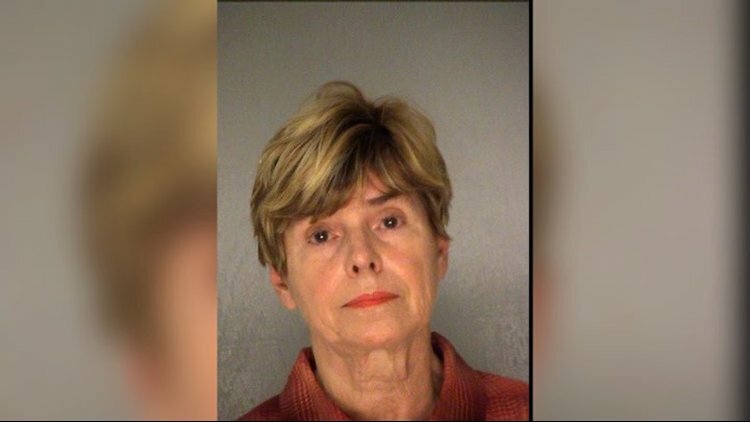 Back in April, a thug granny in Macon, Georgia named Judy Tucker attacked a Black woman who was not only a solider but pregnant — all over a parking spot. The granny was thrown in the slammer and released on a $650 bond. Now another thug granny has been locked up and this time it was for attacking Black children on a beach in Connecticut. Below is her alleged mugshot. White folks are really on the loose, harassing Black people from swimming pools to parks to restaurants. Sadly, we even have the president the United States who throws insults about people having a “low IQ.” The country has certainly hit the gutter of decency and white folks are the main culprits. Holcomb was clearly channeling her hateful roots. Everyday this disgusting behavior is endorsed by our current administration. Unfortunately, there is no video of Mary Holcomb— so in replace of that, let’s revisit thug granny Judy Tucker’s mugshot from April. These two should form a country western duo. They can tour beaches and parking lots across the country.